WASHINGTON — Puerto Rico’s bankrupt electric utility ignored advice from its own lawyers before signing an expanded contract worth $300 million with a tiny Montana company to repair its damaged power grid, newly released documents show. Those recommendations and others were ignored as the power authority expanded a no-bid deal with Whitefish, which is based in Interior Secretary Ryan Zinke’s hometown and had just two employees when Hurricane Maria hit in September. Rep. Rob Bishop, R-Utah, the panel’s chairman, said “a legacy of dysfunction” at PREPA has created “a competence deficit” that threatens Puerto Rico’s ability to improve conditions for its 3.4 million citizens. “Confidence in the utility’s ability to manage contracts and time-sensitive disaster related infrastructure work is long gone,” Bishop said. The utility’s executive director acknowledged mistakes Tuesday as the utility sought immediate help in the aftermath of the storm, which destroyed the island’s power grid. Nearly 60 percent of the island remains without power nearly two months later. “I therefore authorized our contracting staff to execute a contract with Whitefish while we continued to seek additional assistance from others for the complete, multibillion-dollar restoration effort still to come,” he said. Whitefish said in a statement that allegations the company “gouged” taxpayers were unfair. Given the magnitude of the work and time of year, “any contractor would pay a premium to attract the labor to come to Puerto Rico to work,” the company said. 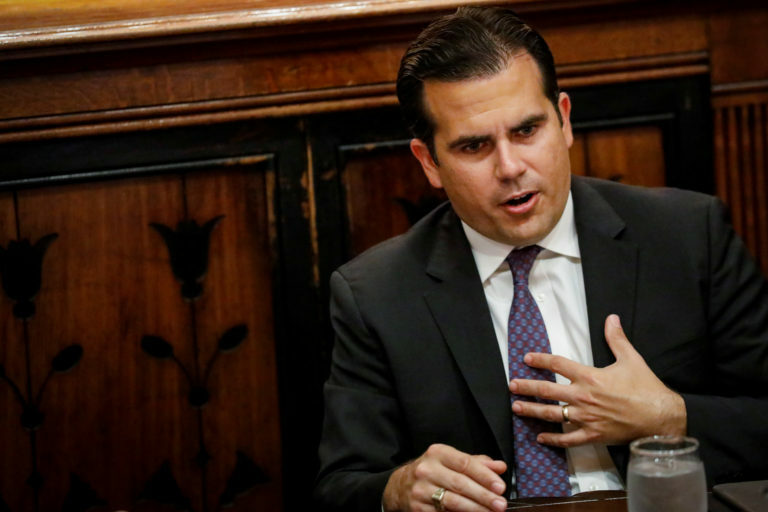 Puerto Rico’s governor has asked the federal government for $94.4 billion as the island struggles to recover from the damage inflicted by Hurricane Maria, with much of the U.S. territory without power and thousands still homeless. Gov. 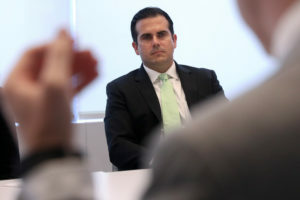 Ricardo Rossello also urged Congress to adopt a tax overhaul plan that addresses Puerto Rico’s specific needs to avoid an exodus of the companies that currently generate 42 percent of the island’s gross domestic product.